I put this GDM theme together last fall and posted it on Screaming Electronbut thought I post it here since I was doing some desktop work. I originally found a theme I liked called Tobacco Sky. It was based off an earlier theme and had a new background with some tweaks. I just took that and made it into a FreeBSD theme from there since I didn’t find any good FreeBSD themes for GDM that I liked. 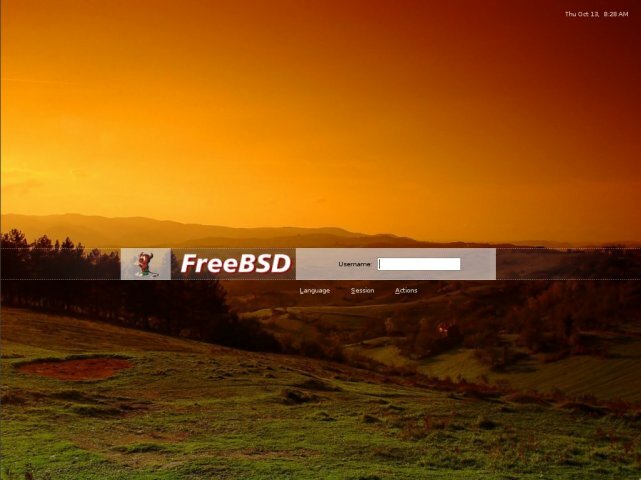 I grabbed the graphics right off freebsd.org. All the real work was done by those who came before me. I see that SLiM has been ported to FreeBSD. It’s a simple lightweight login manager derived from Login.app. I might convert this theme to SLiM sometime if I get the notion.